1917 was a watershed year in the history of World Politics - the Bolshevik Revolution under the auspices of Lenin and Trotsky had bore fruits in Russia. The following few years, saw the birth of communist parties in and around the world – glaring examples are Italy, India, Peru, China etc. The ‘fear of communism’ and the cold war continued till the Soviet breakdown. Nowadays, it is commonly argued in intellectual circles that China upholds the ‘purest available version’ of the Red Flag in the world. Drawing influence and inspiration from similar ideological sources are the Marxist revolutionaries who are conducting armed insurgencies in India, Colombia, Peru, Philippines, Turkey etc. 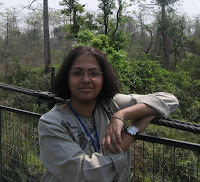 The thought processes and modus operandi of these groups vary due to regional and local variations. But core Marxists roughly are first and foremost Internationalists, second anti-Americanists and third propounders of equity. The west is usually perceived as ‘Capitalistic’. However, a large section of the Americas i.e. Latin America and Caribbean [LAC] is under the wave of a ‘Pink Tide’ i.e. the term used by contemporary political analysts to describe the growing left wing politics in the region. ‘Pink’ denotes moderate communism and increasing strength of socialistic ideas. This is not a recent phenomenon and has its roots in the ‘class conflict’ which was a result of the ‘Age of Exploration’. LAC was home to many indigenous and advanced civilizations i.e. the Aztecs, Incas and the Mayas. European settlers, especially Spanish and Portuguese in the late 15th century came here in search of gold, spices and minerals which the continent had much to offer. ‘Plantation agriculture’ was introduced and was accompanied by the cultural, economic and political dominance of the region. But following the US and French model, most of LAC achieved its independence by 1825. However, in the pursuit of industrialization, the LAC countries started relying heavily on Great Britain, France and US. Export of natural resources provided the basis of most LAC nations in the 19th century, allowing the development of a wealthy elite class and a growing divide between the rich and the poor. Economic prospects also attracted the Italians, Germans and Mexicans who eventually spread Marxist ideas throughout LAC. Following the Great Depression of 1930s, leftist political parties started gaining momentum and the next few decades were marked by instability and power struggles. Cuba became the first openly socialist country in LAC with Guerilla warfare reaching heights under Che Guevara. Nicaragua similarly, followed suit under the Sandinistas in 1970s. The US pressure was omnipresent and was most visible in Chile, when it backed General Augusto Pinochet of the Chilean army to overthrow democratically elected but Marxist, Salvador Allende. Following the Washington Consensus of 1989 [aimed at the expanding role of free market with an element of infringement on national sovereignty of developing nations], the anti-US element gained momentum in LAC areas. Since 2000s, in some of the LAC countries, left wing political parties have risen to power - notable among them are Hugo Chavez in Venezuela, Evo Morales in Bolivia, Daniel Ortega in Nicaragua, Rafael Correa of Ecuador. The BBC in 2005 reported that 75% of South Americans were ruled by leftist rulers. By adopting populist measures like nationalisation of gas and oil resources, pro-poor policies, universalisation of education, creation of job opportunities and investment in the healthcare domain, these leaders have consolidated their positions and won people's support. The political clout and influence of the rich have been curtailed in many countries, leading to further enthusiasm among the general public. 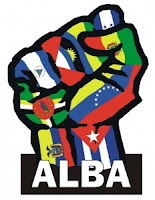 The regional leftist union Bolivarian Alliance for the Peoples of Our Americas i.e. ALBA is the biggest threat to US interests in LAC. It has already started using the transnational currency - SUCRE through the ALBA bank to challenge the dollar. Another organisation is the Union of South American Nations i.e. UNASUR which aims to increase the co-operation and integration between the LAC countries. It also plans to establish a ‘South American Parliament’ in lines of the EU. 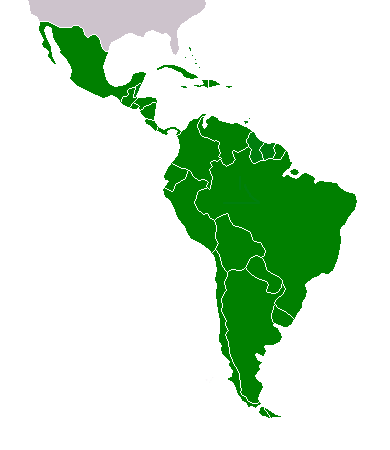 Two more groups - the ANDEAN community [trade block between Bolivia, Colombia, Ecuador and Peru] and the MERCOSUR [regional trade agreement between Brazil, Paraguay, Uruguay and Argentina] have brought the LAC countries closer to each other and they plan to expand heavily in the coming years. Brazil, in particular is also associated with BRIC and IBSA - of which India is an active member. Few radical Marxist groups have mushroomed in LAC over the years. The Communist Party of Peru [aka Shining Path] is one of them which wants to establish a ‘Dictatorship of the Proletariat’ by overthrowing the ‘Bourgeoisie regime’. Though its main leader Abimael Guzman was arrested in 1992, its ideas have heavily influenced the Communist Parties of Nepal [Maoist] and Philippines. Another fiercely anti-American insurgency group is the Fuerzas Armadas Revolucionarias de Colombia [FARC] which is well-trained and well-equipped with ties to narcotic traffickers. It has entered into the negative list of US, which is on a mission in LAC as a part of its ‘War on Drugs’. In fact, owing to the accusations of the Colombian Government pointing the alleged involvement of Venezuela in backing FARC, diplomatic ties between the two countries were strained in early 2010. 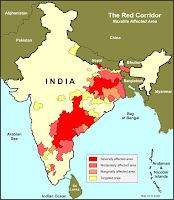 Maoist insurgency is a regional and global challenge. As these movements usually emanate from backward areas, the politico-socio-economic reasons are cited as the main cause of their inception. There are huge differences but at the same time there are few similarities between say between the Shining Path and the CPI [Maoist] - both are extreme forms of Communist parties in their respective countries; both are engaged in an armed struggle with the establishment of parliamentary democracy in their countries and both have adopted the Guerilla tactics of warfare. More importantly, CPI [Maoist] maintains dialogue with Communist Party of Nepal [Maoist] and claims comradeship with other members of Coordination Committee of Maoist Parties and Organizations of South Asia [CCOMPOSA]. 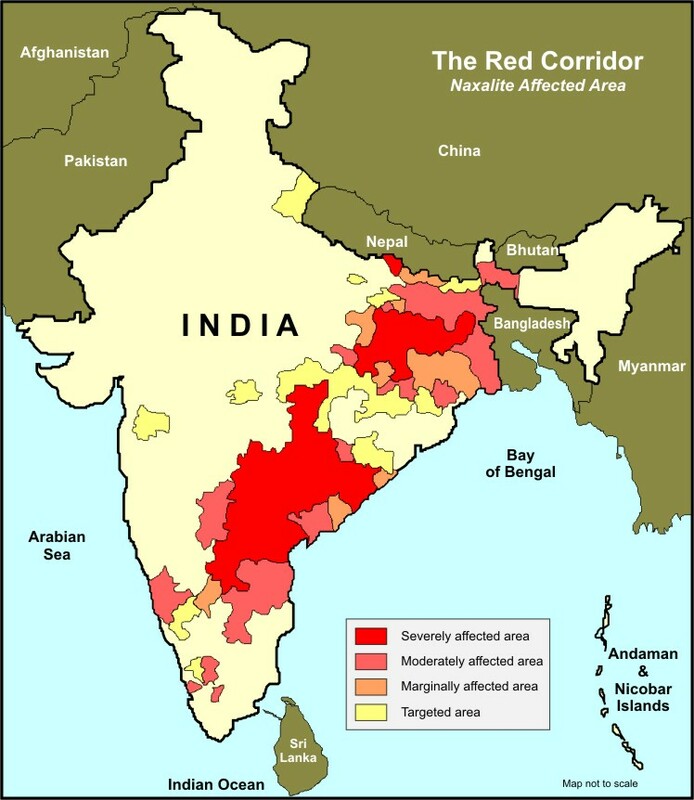 The movement has grown leaps and bounds in the last five years, affected 1/3rd districts of India, is allegedly connected to Nepal, Sri Lanka, China and Philippines and is showing no signs of dilution in the near future. As the ideological connect between Marxists movements [both radical and non-radical] across the globe is very strong, any collaboration in the form of ideas, men, money, material or personnel training in the next few years cannot be completely ruled out. Sounds preposterous but is surely worth a thought. The pro-people governments in LAC countries have definitely alienated a section of the elite but it has also created a group out of the mass which feels dejected, has turned radical and demands more reforms. Maybe the nexus between the two extremes along with the covert and overt hand of the ‘Big Brother’ will create ripples in the Political Landscape of LAC like the one which happened in Honduras last year. In the current scenario of International politics, where most countries are increasingly leaning towards the US in the wake of neo-liberalism, it is remarkable that major/emerging economies like China, Russia, Turkey and the fresh group of LAC countries maintain a fairly anti-American stance. 1991 was perceived to be the end of communism in the world but the ‘show went on’. How and to what extent this ‘Pink Tide’ will withstand this wind of global US bonhomie is to be seen. India can continue its policy of calculated prudence while dealing with this leftist bent of LAC but at the same time should try to be aggressive in its foreign policy for the sake of promoting trade, oil diplomacy and increasing sector-based contacts with LAC.